Last night, the festivities at Toronto Fashion Week SS19 officially came to a grand finale, with Day 3 of TFW wrapping up the three-day extravaganza of shows and panels. Over the past two days, Real Style had the opportunity to catch both rising and renowned Canadian designers on the Yorkville runways and in the RESET studio showroom. As we look back on the Spring 2019 season of Toronto Fashion Week, here’s our front row report on the latest Canadian trends for the season ahead. Whether you are heading back to school or back to the office this week, it’s officially September and Fall 2018 is in the air! 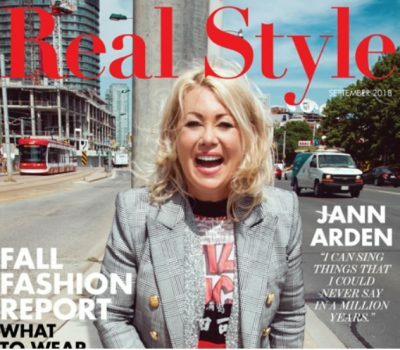 Subscribe now for free to read Real Style Magazine’s fresh and exciting new September 2018 issue is here, which features Canadian singer Jann Arden as our cover girl. With the Fall 2018 season at Toronto Fashion Week well underway, Yorkville Village has temporarily been home to a series of eclectic studio shows and high-drama runways. From rising label Nonie to signature rocker couture at Hendrixroe, here’s our runway report from Day 2 of Toronto Fashion Week. Last night at Day 3 of Toronto Fashion Week, the runways at David Pecaut Square were filled with another array of ornate styles for Fall 2016. As well-known names like David Dixon shared the stage with up-and-coming stars like Hilary MacMillan, the latest in Canadian style was on display. Here’s Real Style’s report on Day 3 of the Fall 2016 shows. With a focus on wearable and vibrant patterned designs, Toronto designer Hilary MacMillan unveiled a Spring 2016 collection of punchy prints and bold colours on the World MasterCard Fashion Week runway. Real Style caught up with the rising designer backstage on her new African inspired collection and more. Day 3 of Toronto World MasterCard Fashion Week at David Pecaut Square in Toronto revealed an explosion of eye-catching prints, flowing designs and elaborate Seventies accents for Spring 2016. From emerging Canadian talent like Hilary MacMillan to established names like Mackage, here’s Real Style’s roundup from the front lines of the WMCFW Spring 2016 shows. With the INLAND Canadian fashion and shopping event set to hit Toronto this weekend, we chatted with founder Sarah Power about the importance of supporting Canadian designers. Real Style chatted with emerging Toronto-based designer Hilary MacMillan backstage at Toronto World MasterCard Fashion Week. 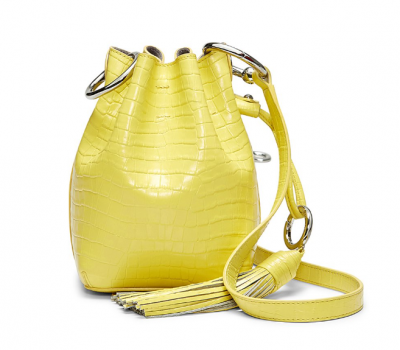 Read all about her new Fall 2015 collection, made-in-Canada pieces and favourite designs here. 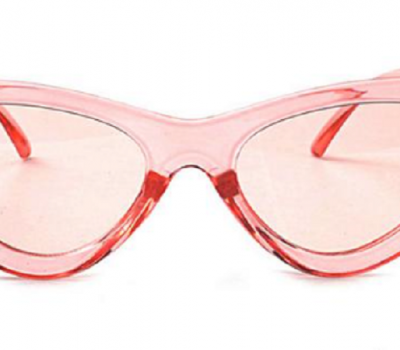 From Sid Neigum to Hilary MacMillan, here are five up-and-coming Canuck designers to watch out for now. With eye-catching looks ranging from daring fur to understated black wool, here’s our report from the front rows at Day 4 of Toronto World MasterCard Fashion Week Fall 2015.